equip students with the skills needed to critically review the global flow of learning and knowledge, in light of new digital technologies, infrastructure needs and developments, intellectual property regimes, and the emergence of new funding models; they will also learn about the influence of economic disparities, educational standards, and population shifts. To capitalize on the multi-faceted and global nature of this topic, the course is being developed and will be taught by a multidisciplinary international team of instructors from the University of British Columbia, Simon Fraser University, Stanford University, Universidad Autónoma del Estado de México, Arizona State University, Fordham University and Kwame Nkrumah University of Science and Technology (Ghana). Understand, describe, and discuss the central and cross-cultural issues and trends associated with open knowledge production, use, and dissemination, open education, intellectual property and licensing, and global communication inequities and colonial legacies in the library context and more broadly (knowledge and comprehension domains). Understand how open educational resources are produced and consumed (knowledge and comprehension domains). Articulate issues related to authorship, legitimacy, and reliability raised by different forms of digital publishing/creation (knowledge, comprehension, and evaluation domains). Analyse future possibilities for knowledge production, use, and dissemination in libraries, publishing, and education (analysis domain). Differentiate between different types of open knowledge and determine the appropriate options for producing and consuming open knowledge artifacts within a variety of contexts, including in libraries (analysis and evaluation domains). Design, develop, and demonstrate an open educational resource on a topic of interest related to open knowledge (application and synthesis domains). Weekly topics will include: the global circulation of knowledge and postcolonial production of knowledge; digital rights, responsibilities, literacies, and citizenship; open source, open access, and open education; the intellectual properties of learning; the university and the knowledge economy; the future of the book; and more. As this subject matter is continually evolving, the course will also be flexible to incorporate emerging topics and related current events. To facilitate a global conversation, the course will be run as a hybrid MOOC with content being delivered (in-person and online) at the campuses of each instructor and globally (online) to learners participating in the course independently, without credit or formal registration (i.e., an “open classroom”). 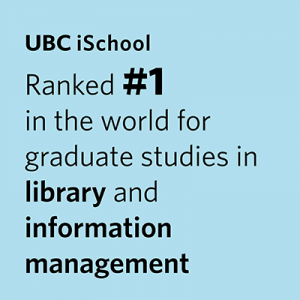 We feel that this approach presents a unique and valuable opportunity for iSchool students to learn from a diverse population of peer learners and instructors from inside and outside of libraries and to experience “open” knowledge in action. Course structure: The course will consist of videos, interactive digital discussions and a weekly face-to-face seminar. Each week an instructor from one of the partner universities or a guest expert from the field will introduce a new topic online and facilitate a virtual discussion amongst all of the global participants. iSchool students will be required to view this online materials (apx. 30 minutes of content) prior to our in-person session and will be encouraged to participate in the related online discussions. In-person sessions at the iSchool will be focused on further dialogue of the online material, library-related considerations and collaborative digital publishing projects. Throughout the course, iSchool students will receive feedback and evaluation directly from the iSchool instructors. Each week the seminar discussion will be led by a different student (or pair, trio of students, depending on enrolment) who will be responsible for reviewing the key points of the week’s module, providing their reflections, sharing new readings, asking relevant questions, and engaging meaningful discussion in accordance with the ground rules collectively established in the first week of the course. Instructors will participate in the discussions, prompt with questions or input when required, answer any questions about the course itself, ask for feedback as part of the ongoing evaluation of the course, and generally ensure a productive session. As a hybrid course, the weekly sessions may only run for 90 minutes rather than the typical 3 hours to recognize and validate the required time spent online. Instructors will, however, be available for additional support for the entire 3 hour block as well as for additional office hours (both online and on-campus).